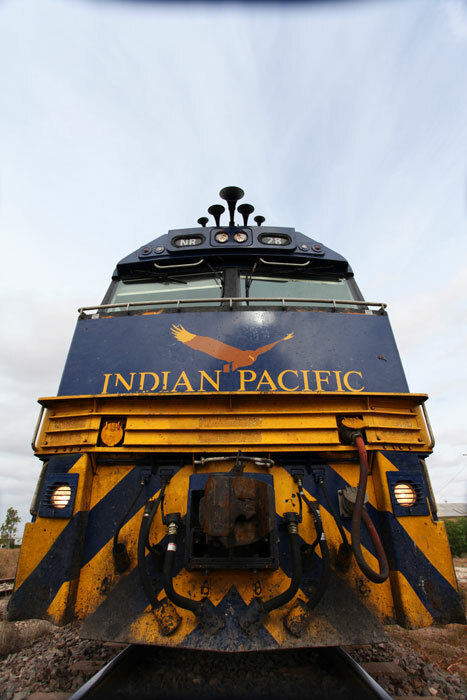 This is one of the world’s longest train journeys, 4352km from coast to coast. 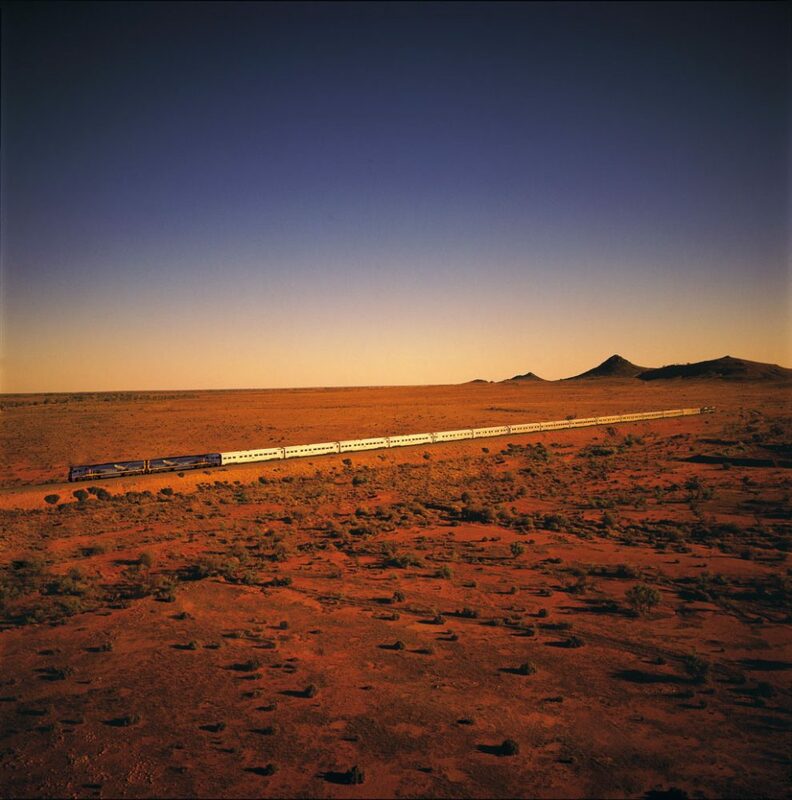 It joins two cities – Sydney and Perth – over three days and nights, and includes the world’s longest straight stretch of railway track: 478km across the Nullarbor Plain. As the train pulls away from Sydney’s Central Station I sip a cup of tea and feel ever so elegant thanks to a Gold Kangaroo Carriage attendant who pops his head in the open door to see if “all is well”. Am I comfortable? What time would I prefer dinner? This is five-star service, after all – a far cry from the camel rides and bush tucker of the pioneers. It doesn’t take long to check out every tiny nook and cranny in the cleverly designed cabin; itsy-bitsy wardrobes, fold-down table, comfortable three-seater lounge and ingenious ensuite. A three-point-turn will get you inside the bathroom, then I dare anyone to manipulate the toilet, washbasin and shower without giggling. It adds new meaning to the idea of “conquering the throne”. We wind through the beautiful Blue Mountains where a mist settles, casting a distinctive blue aura over a horizon of dense forests. It’s getting dark, so it must be time to socialise. 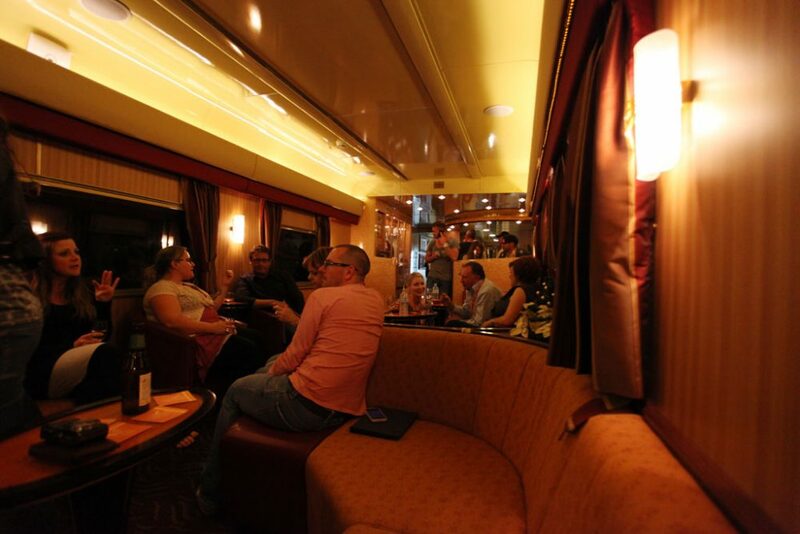 There is a party waiting in the “gold” service Outback Explorer Lounge car. This is where you can meet and chat to people from all over the world or sit back and enjoy a drink and watch the landscape pass by. Dinner is called in the Queen Adelaide Restaurant car. It’s the first of many sumptuous meals, freshly prepared in the most unlikely of mobile kitchens. While I am enjoying dinner, my cabin is transformed into a cosy bedroom. The blinds have been closed and the lounge converted into a bed for the night. It’s easy to lie down and slip into the rhythm of the night; the rocking has me sleeping like a baby. 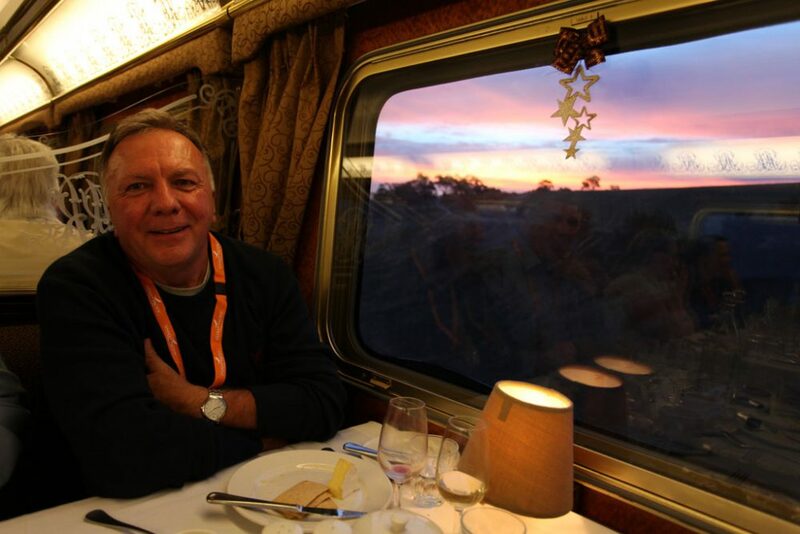 As we leave Broken Hill, breakfast is served and the train passes through desert plains and bush on the way to South Australia’s capital. “If you’re lucky,” we’re told, “you’ll see some unique wildlife along the way.” Wedge-tailed eagles (the symbol of the train), kangaroos and emus are on the wildlife wishlists of most passengers and, although we are warned that they tend to shy away from the noise of the train, emus and even a few camels are spotted. Adelaide greets us in the afternoon. We don’t have time to get out of the city to visit SA’s world-class wineries, but over cocktails the night before, a band of passengers hatched a plan to head to the beach. Their idea is to touch the coastline in as many spots as possible, so they spend a few hours at Glenelg. Day three sees us cross the Nullarbor Plain and exposes The Outback in all its glory. Nullarbor means “no trees” and it also seems to have no towns. We pass through Watson, an old railway camp with nothing to mark it save a raggedy tree – a rarity on the horizon making a brave attempt in the 42°C heat to hold onto its leaves. It’s hours and hours from anywhere; a tiny blip on a 650km limestone plateau dotted only with saltbush and bluebush. A single, splintering sleeper, perched on a few stones and posing as a seat, is the only thing between us and the barren plain. It doesn’t get much more remote than the town of Cook. In its heyday, Cook boasted a population of 300. It also had a school, a pool, a post office, an airstrip and a golf course – minus the grass, of course. Today the pool has been filled in with rubble and there are just three residents left, but this dusty ghost town plays an important role as a refuelling stop for the Indian Pacific and as somewhat of a tourist attraction. Locals host drivers on some of their cross-country shift changes and also run a souvenir shop. We hit Kalgoorlie at night. Built on gold and good times, Australia’s largest outback city epitomises the “wild west”. Half the passengers take a tour to Kalgoorlie’s goldmine “superpit’’, now more than 400m deep and over 3.3km long. The other half head into town to check out the action at local pubs, where scantily clad girls (known as skimpies) collect jugs of “strip money”. When the jugs are full, the clothes come off – for a short time – then they get dressed and the process starts again. Our last night sees the good times (minus the skimpies) continue in the lounge car. Arriving in Perth is a bittersweet experience. It’s hard to say goodbye to new-found friends but the urge to celebrate completing an iconic Australian journey is irresistible. We’ve crossed the entire country from the densely populated east to the wild west. It’s a transcontinental trek of a lifetime and an outback odyssey I’ll never forget.